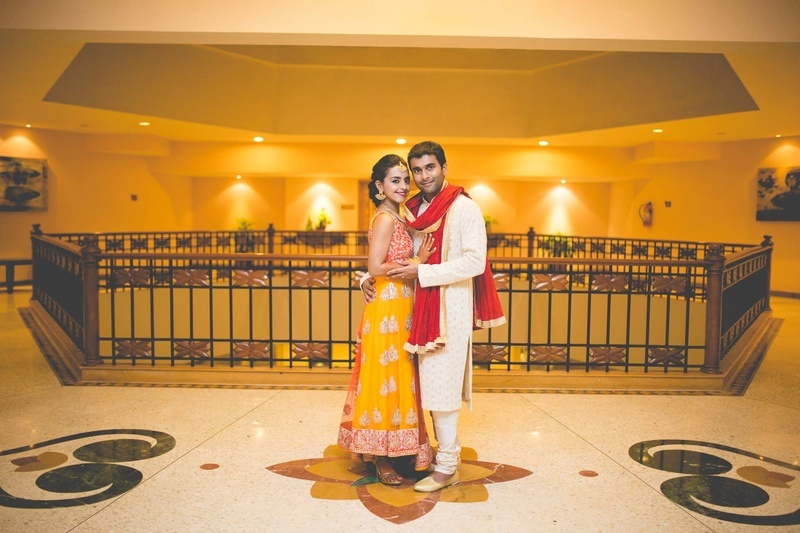 “Our story is a like a Bollywood masala movie, with all its twists and turns and friendship turning into love, but not the conventional kind” says Saloni. 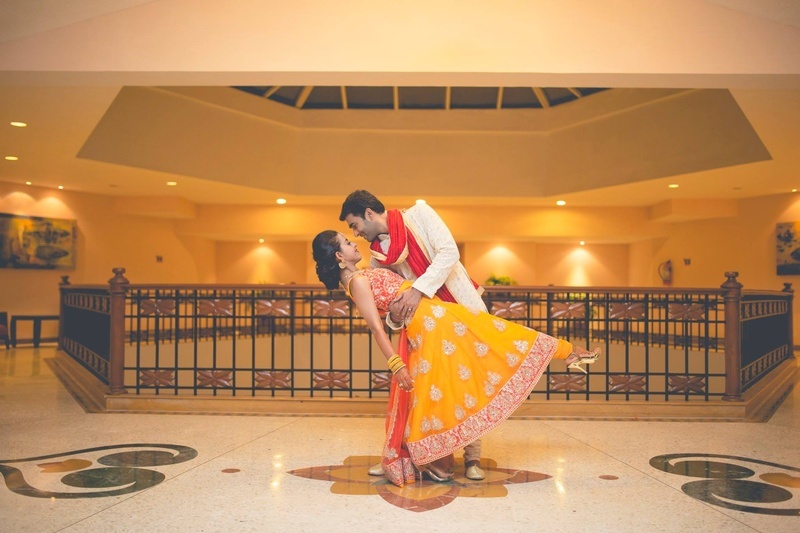 A ten-year-old friendship that developed into love, standing the test of time and distance. 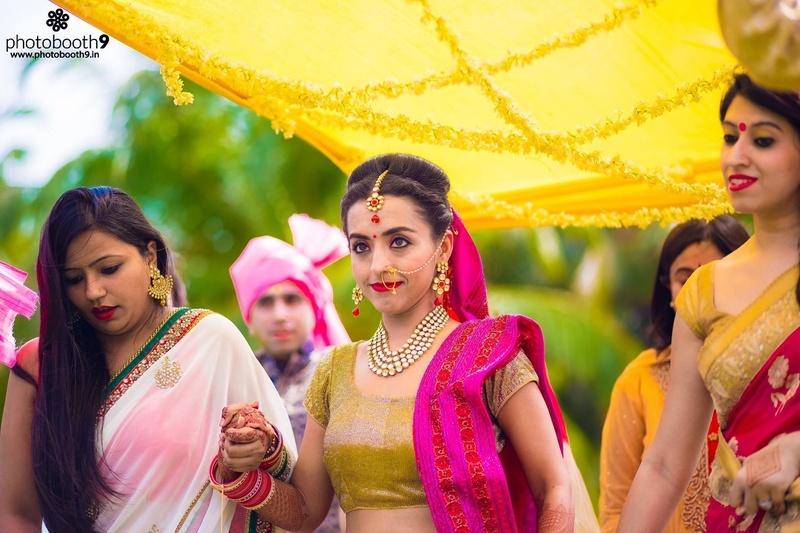 A kind of bond that isn’t too easy to find, not everyone gains a best friend, lover and ‘drunk call buddy’ all in one person. 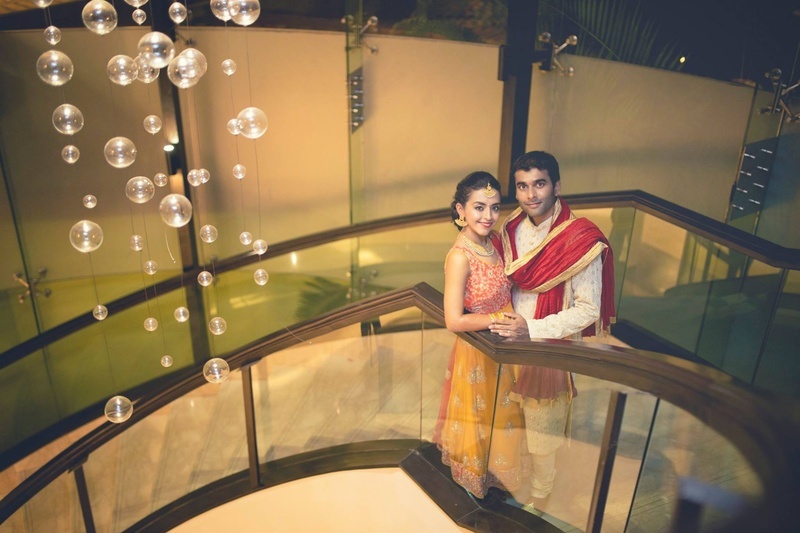 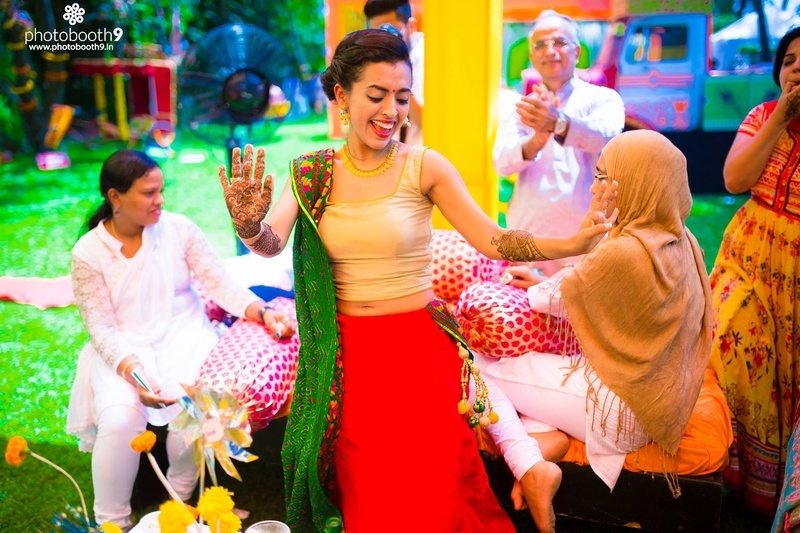 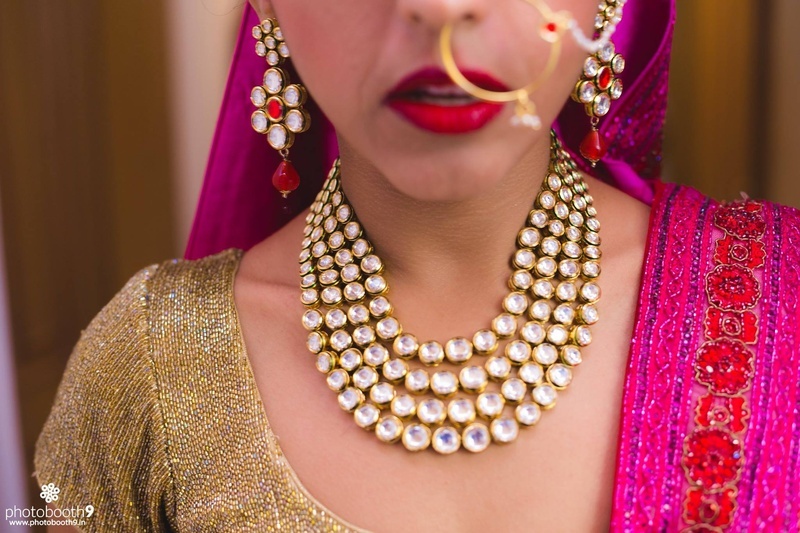 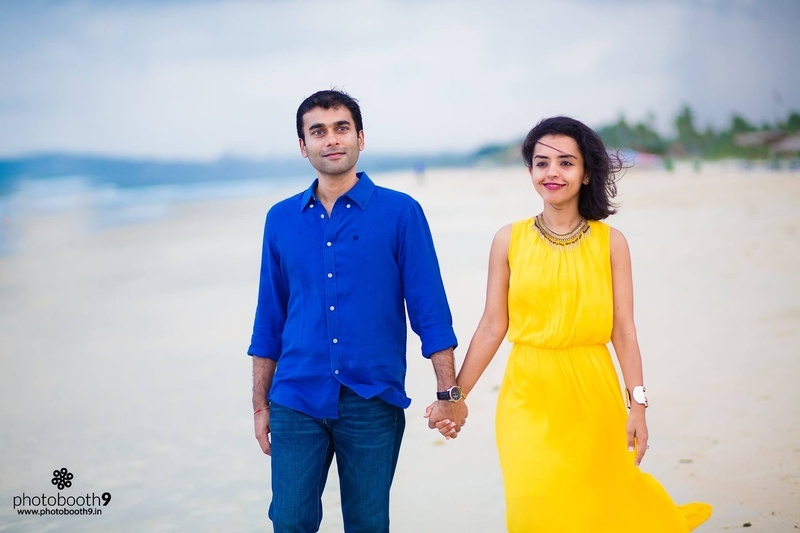 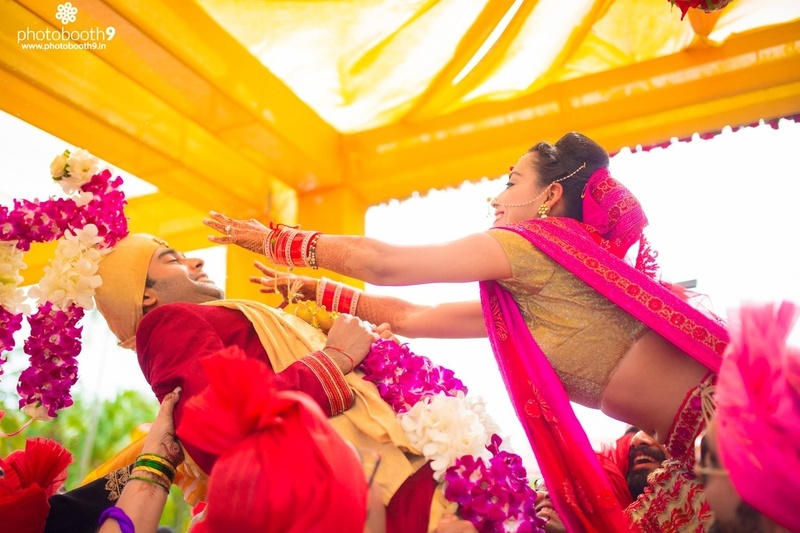 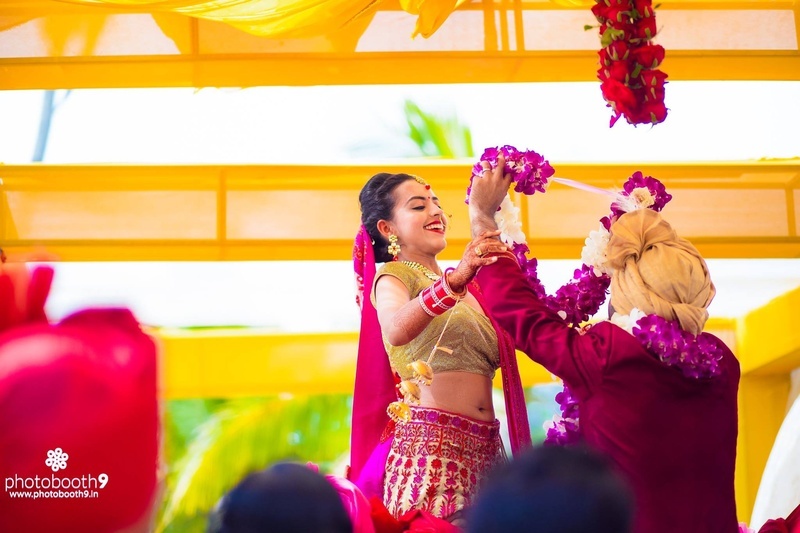 Thank god for alcohol, modern technology and social media – without these Saloni and Akhil wouldn’t be where they are today, and they wouldn't have had the gorgeous wedding they did! 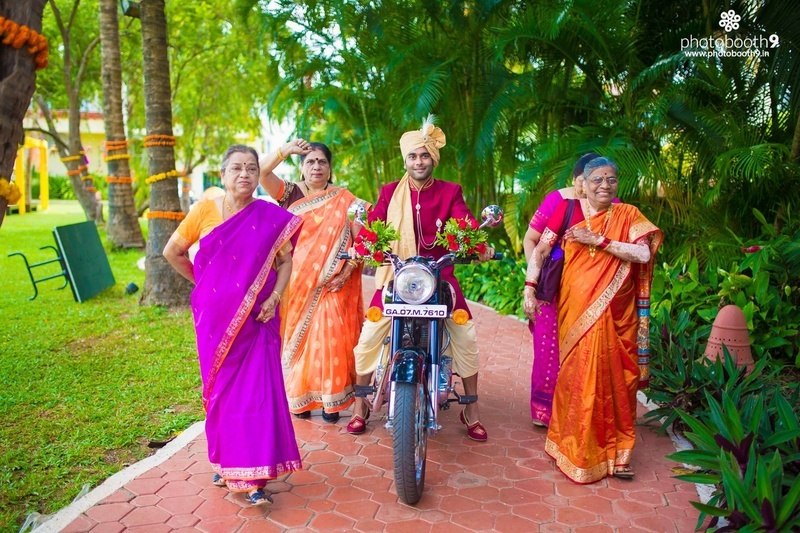 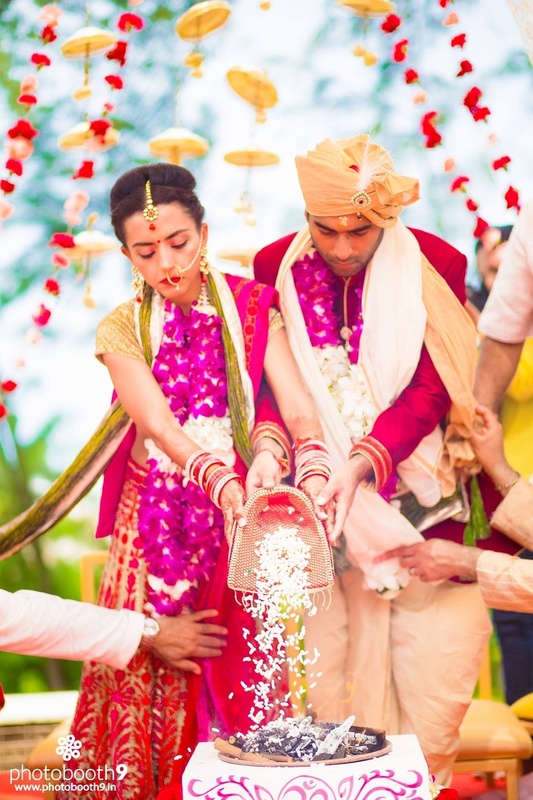 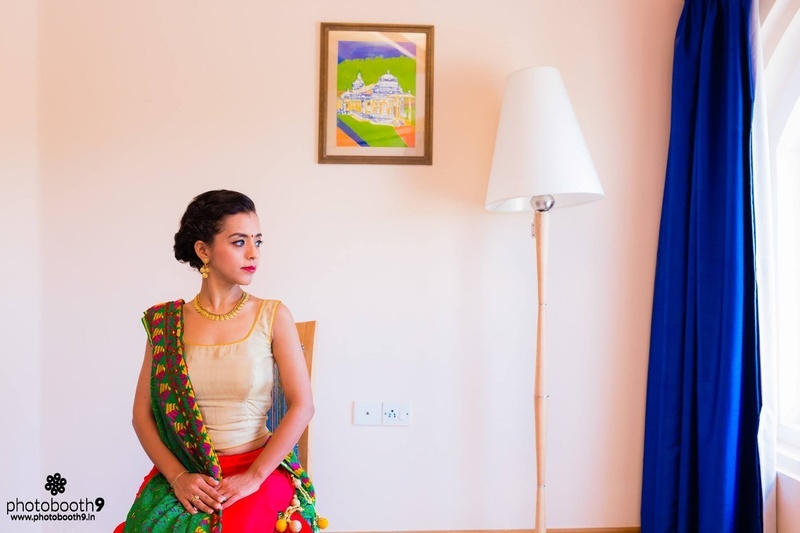 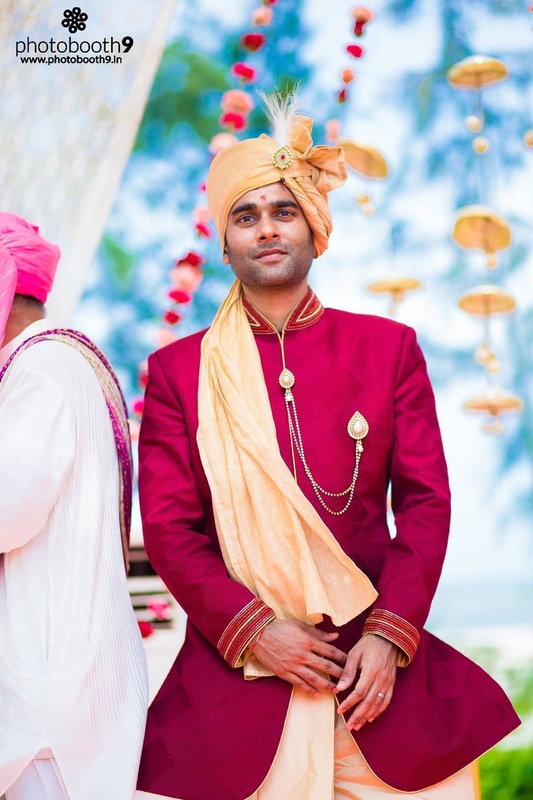 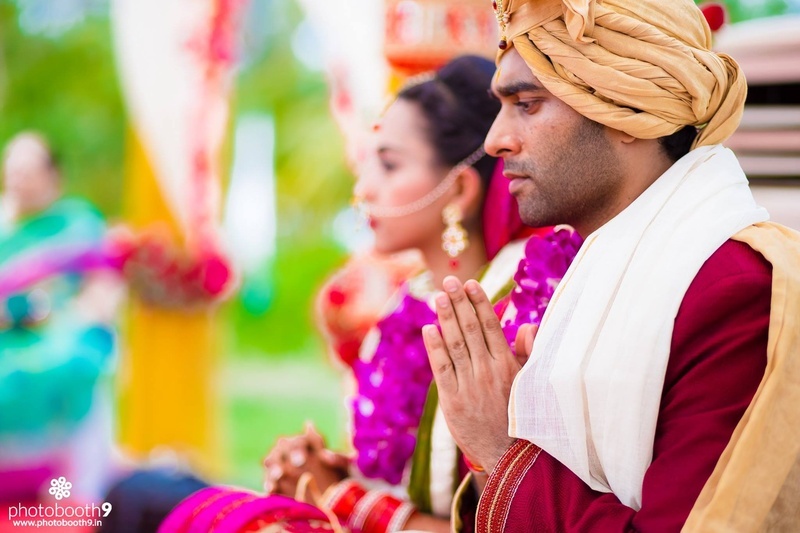 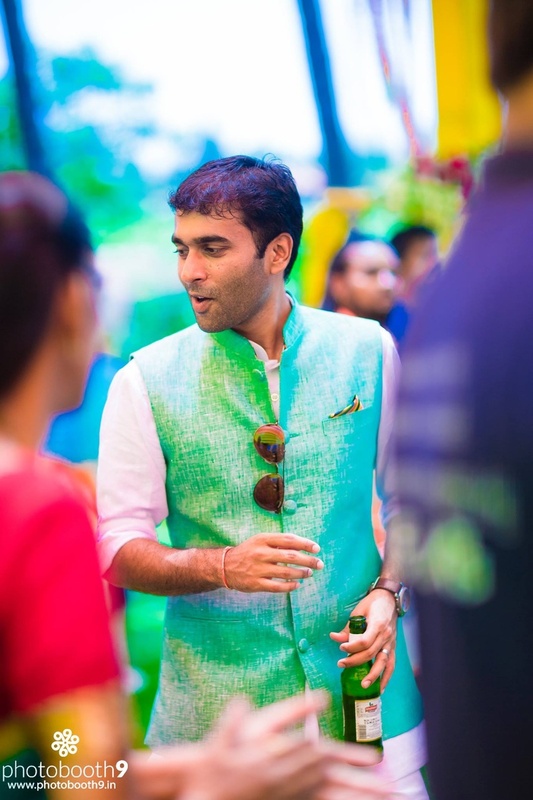 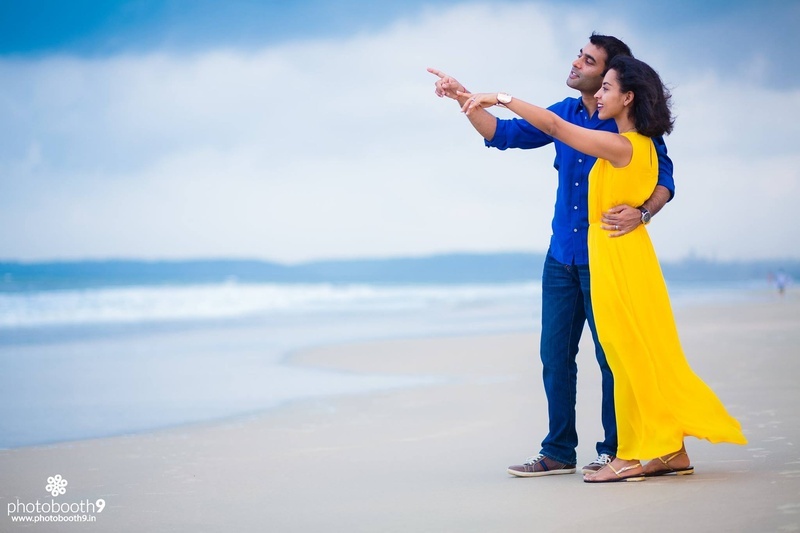 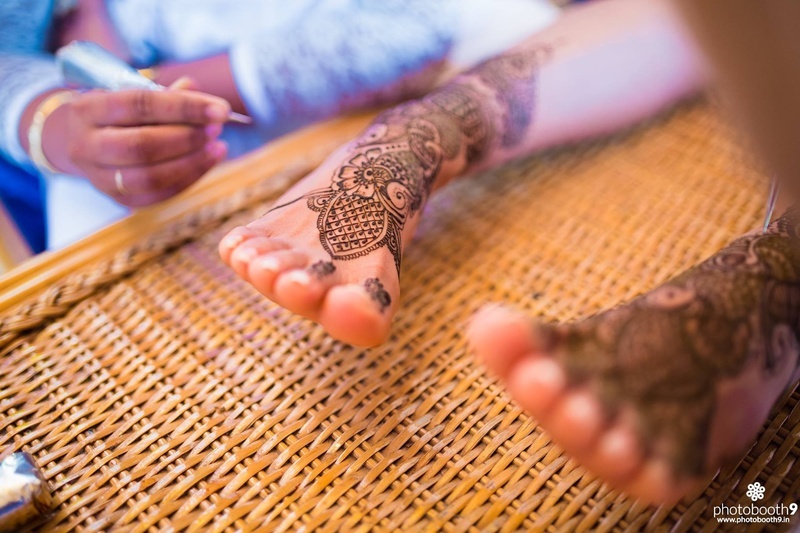 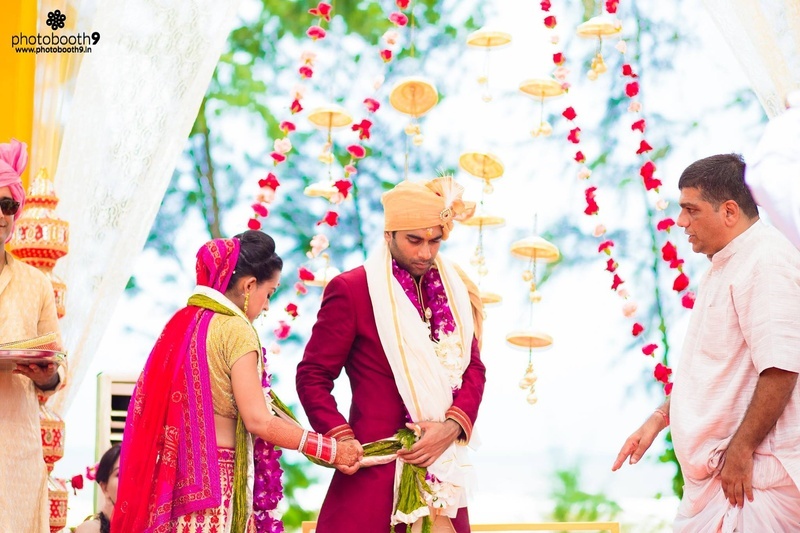 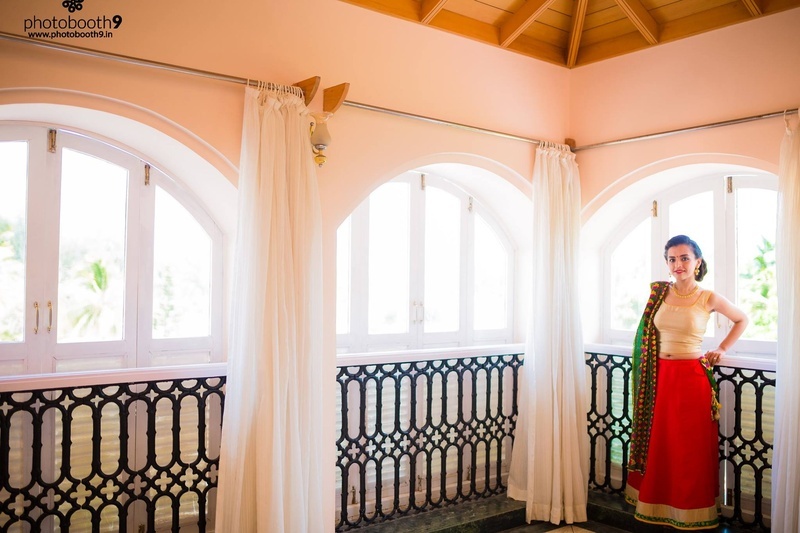 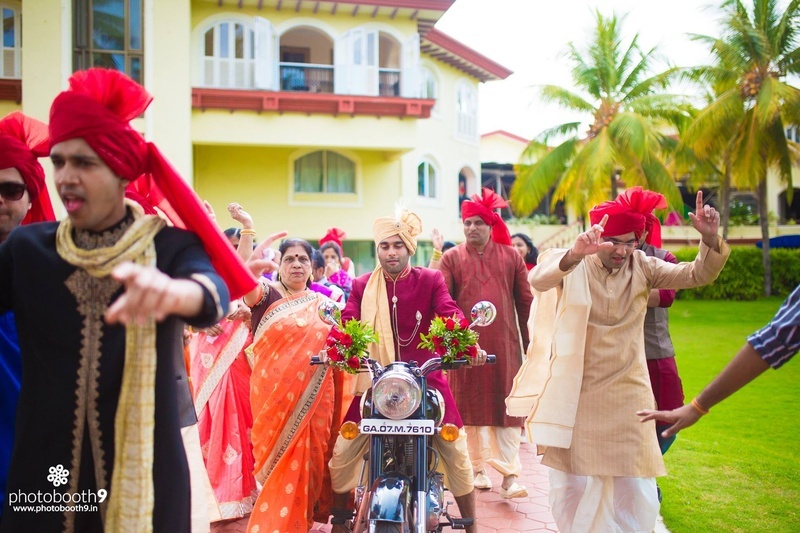 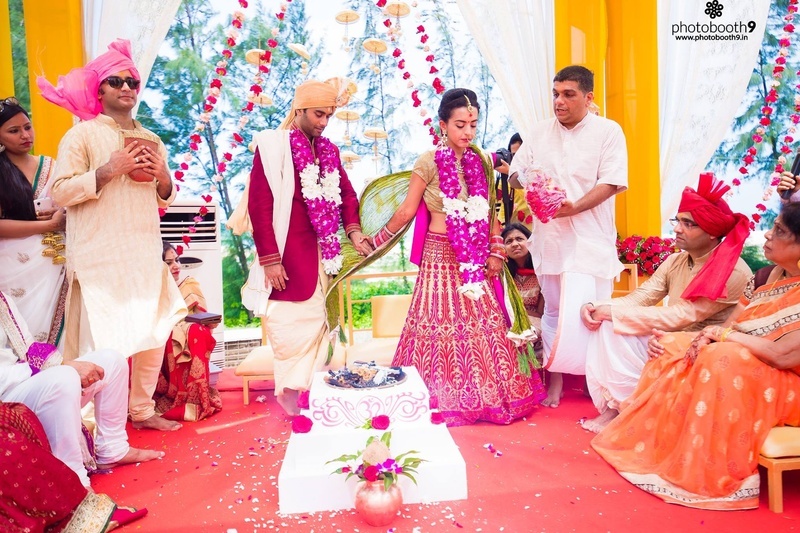 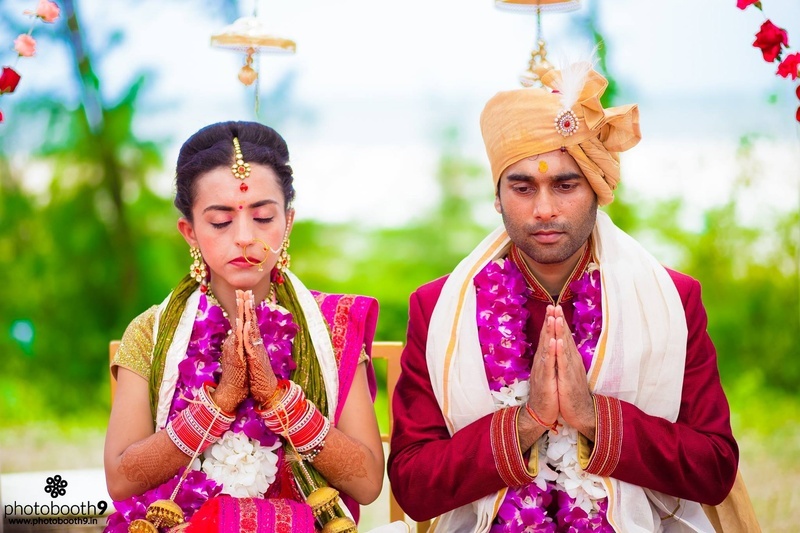 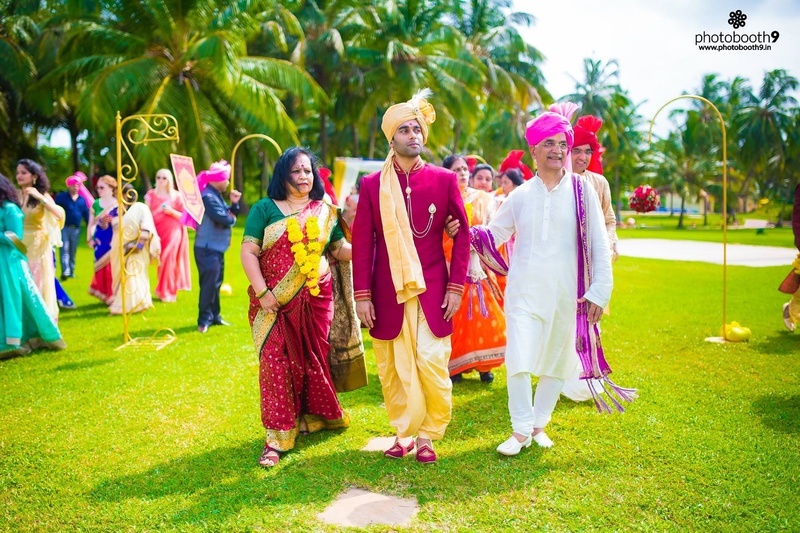 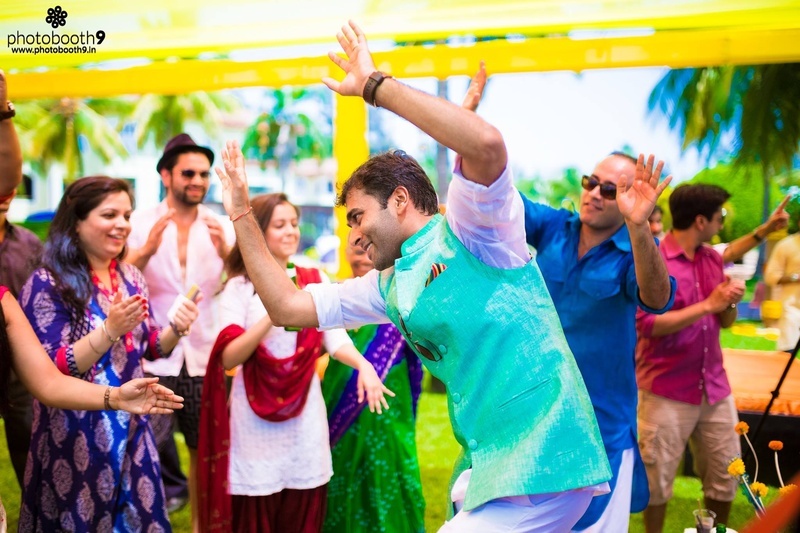 Their loved ones can vouch for that who travelled in from all around the world to Kenilworth Resort and Spa, Goa to join in the celebration as this adorable couple tied the knot. 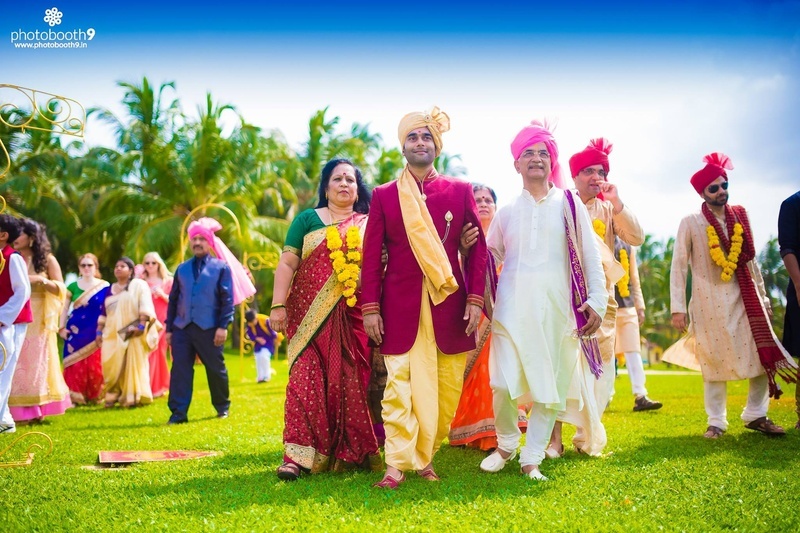 Shot perfectly by the exceptional team at Photobooth9 photography, it captured the realness of this beautiful couple for them to treasure these memories for eons to come. 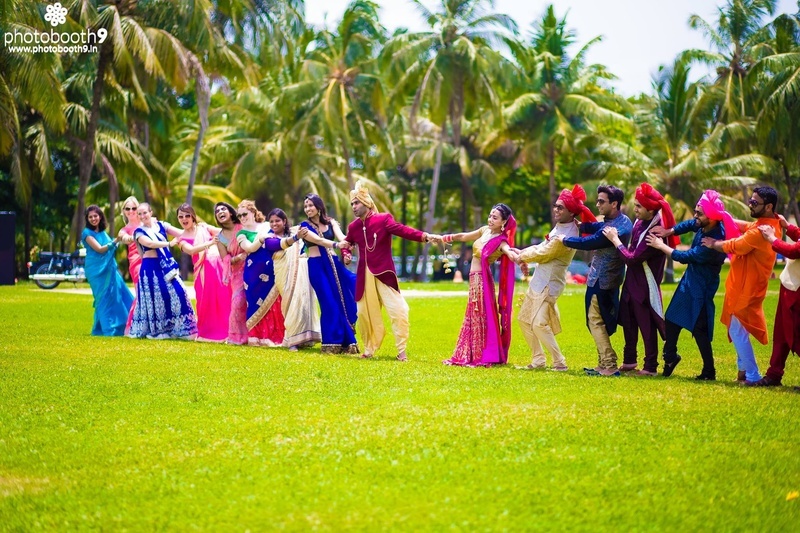 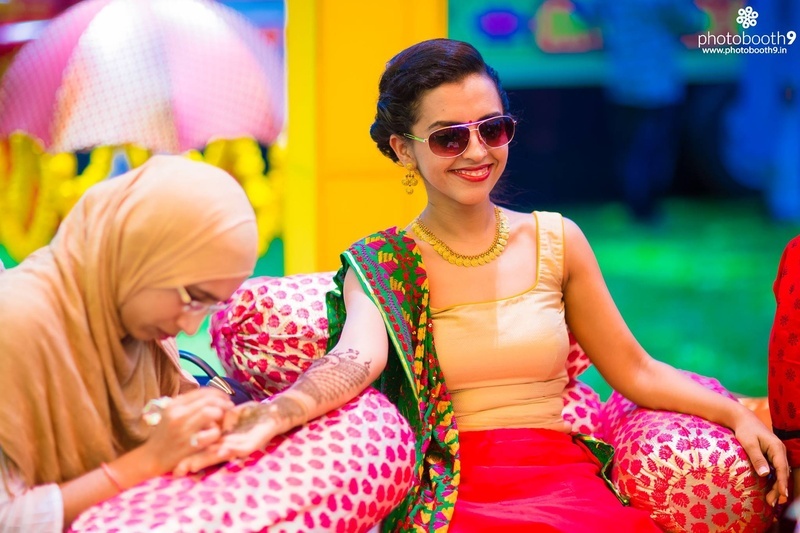 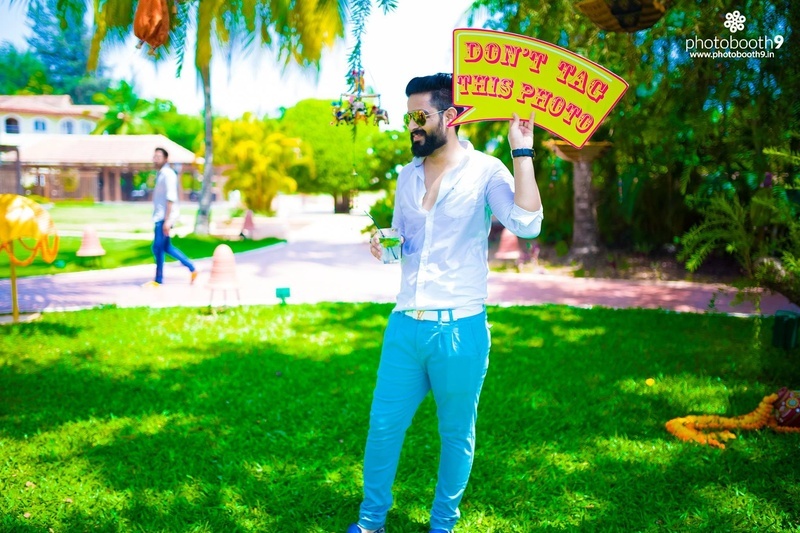 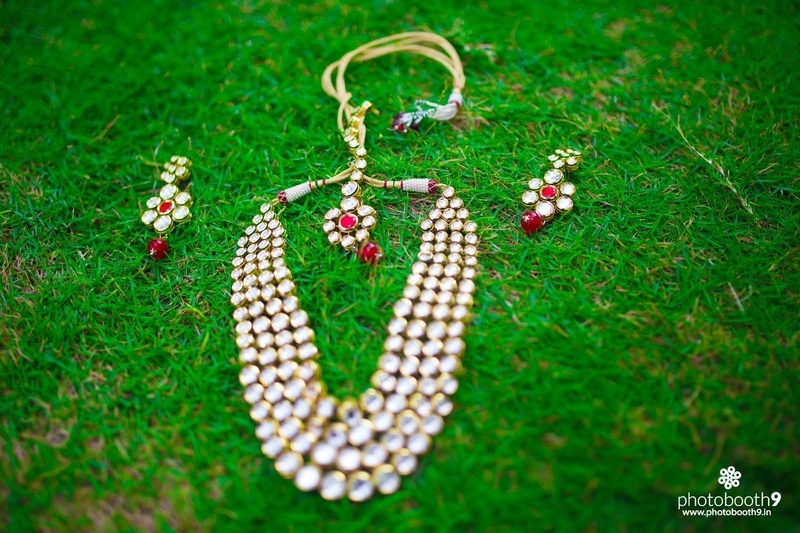 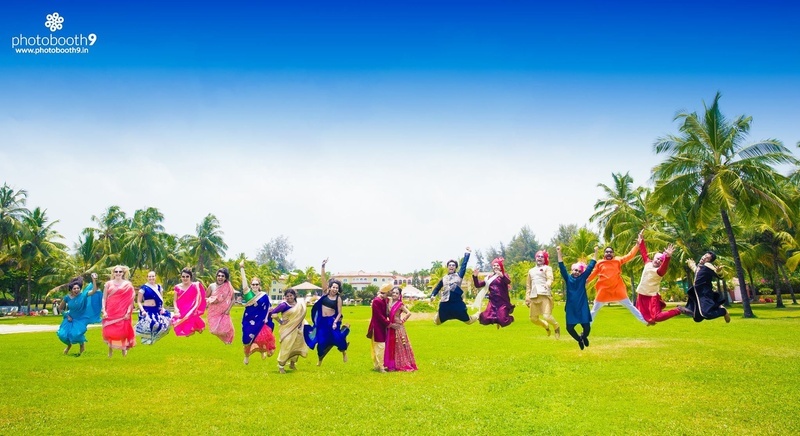 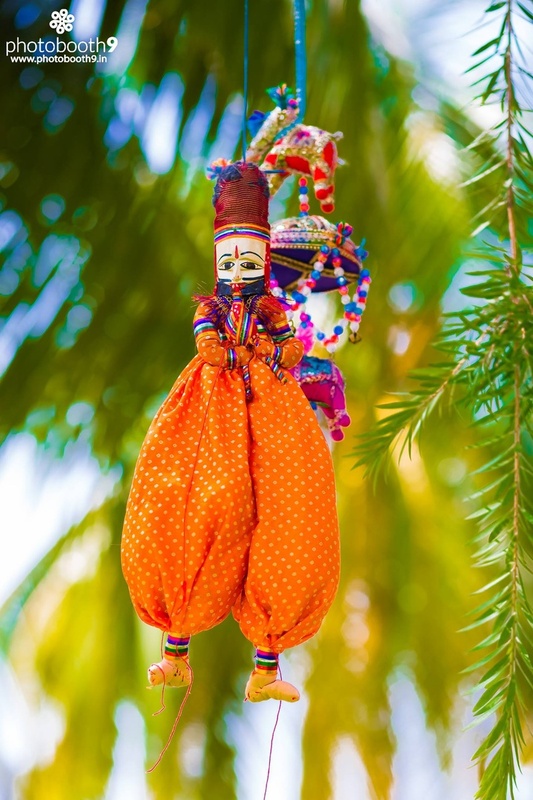 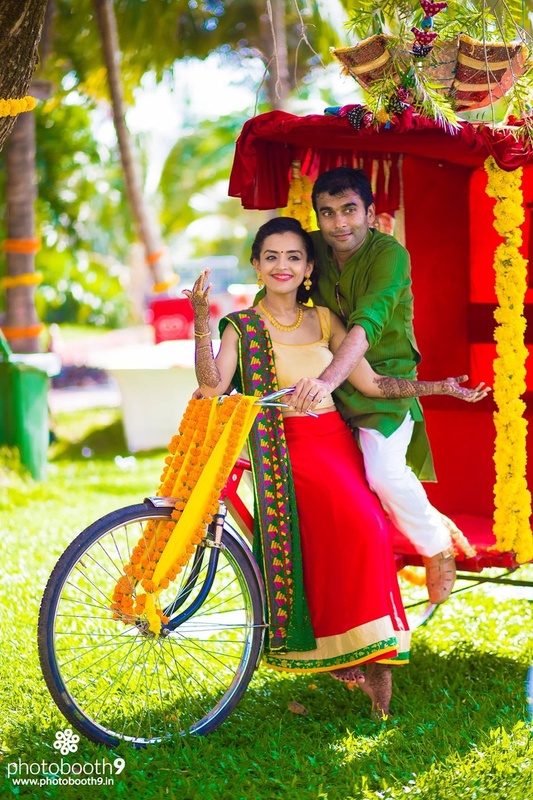 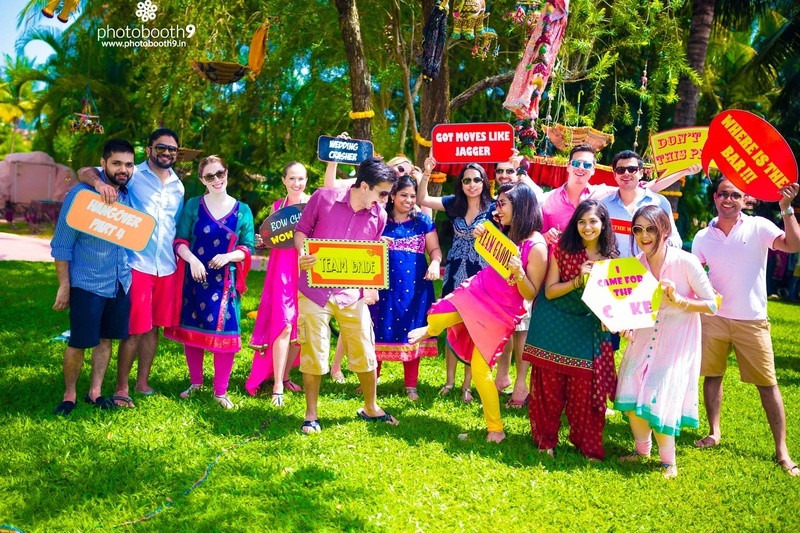 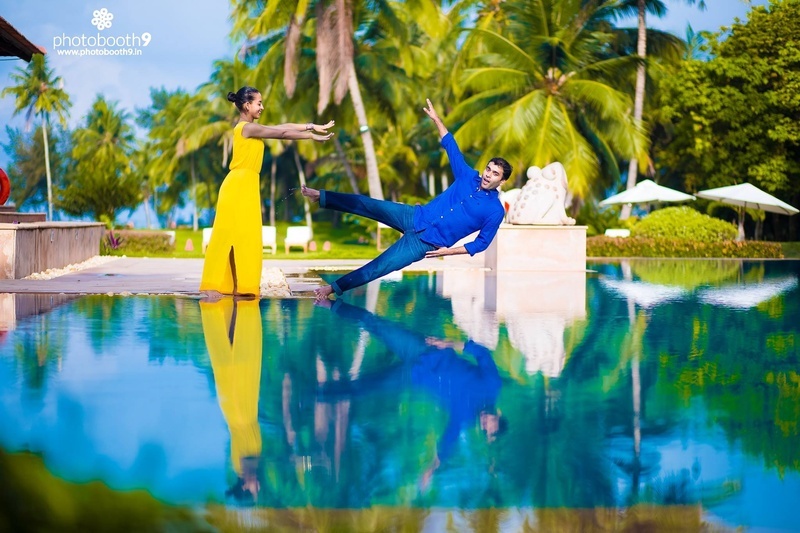 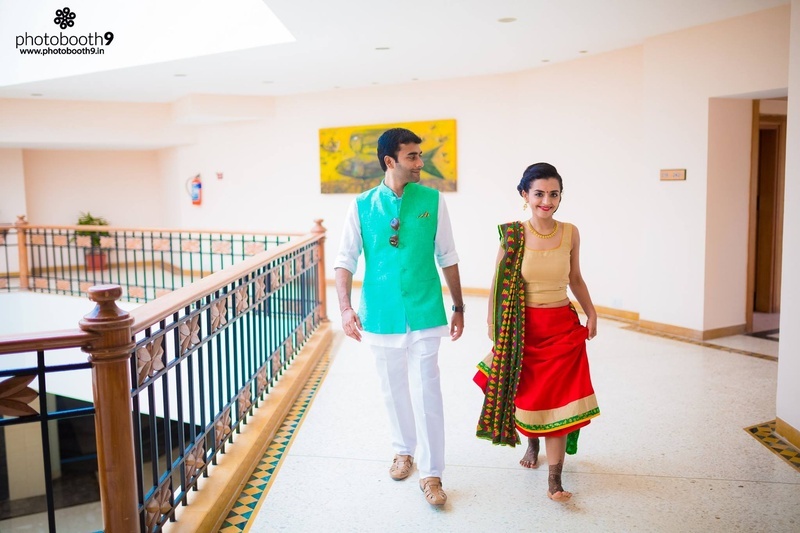 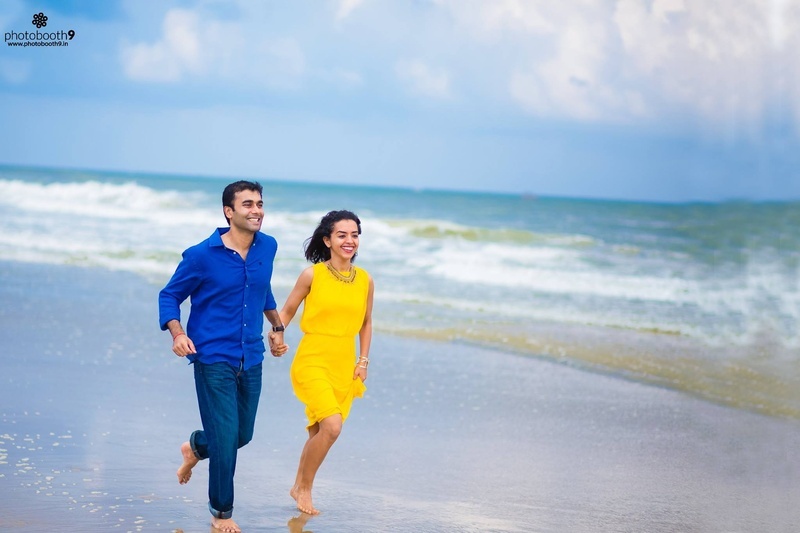 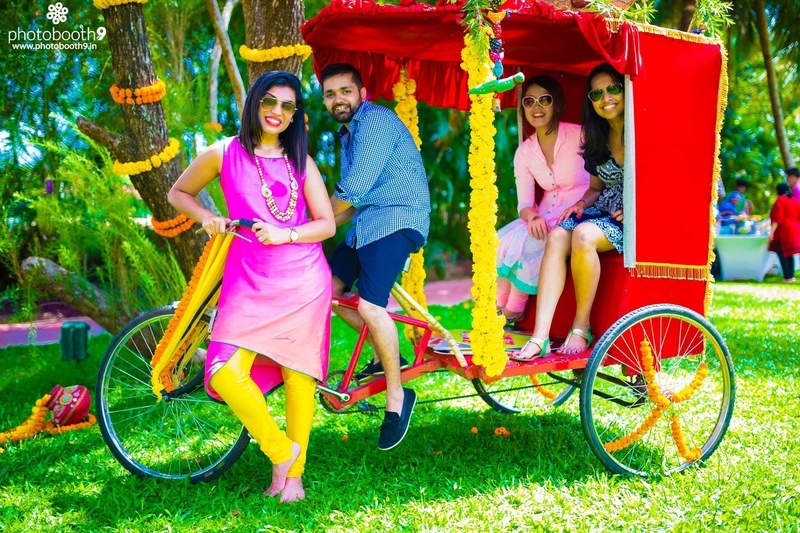 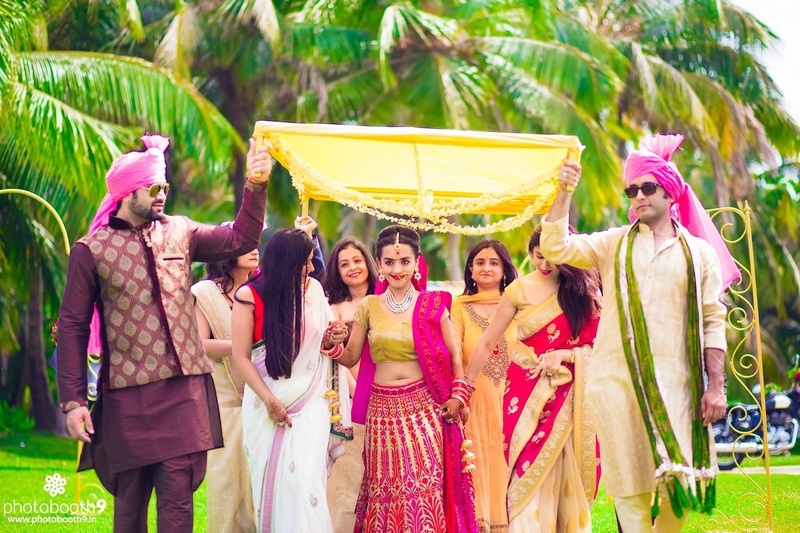 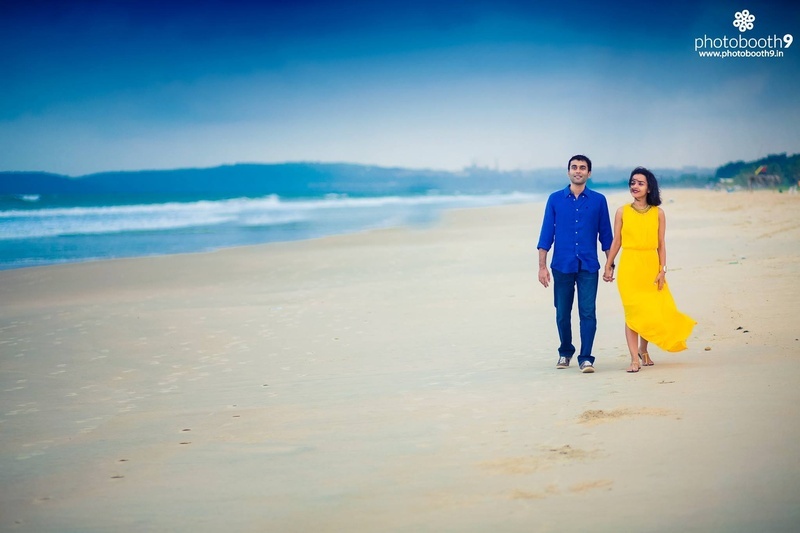 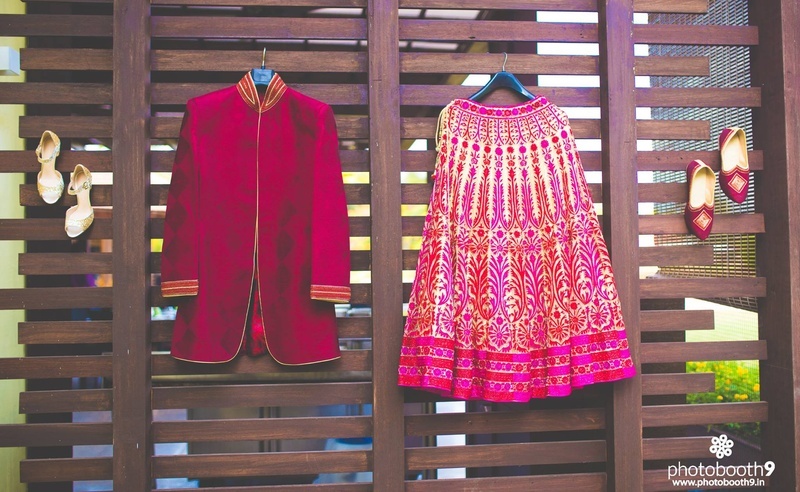 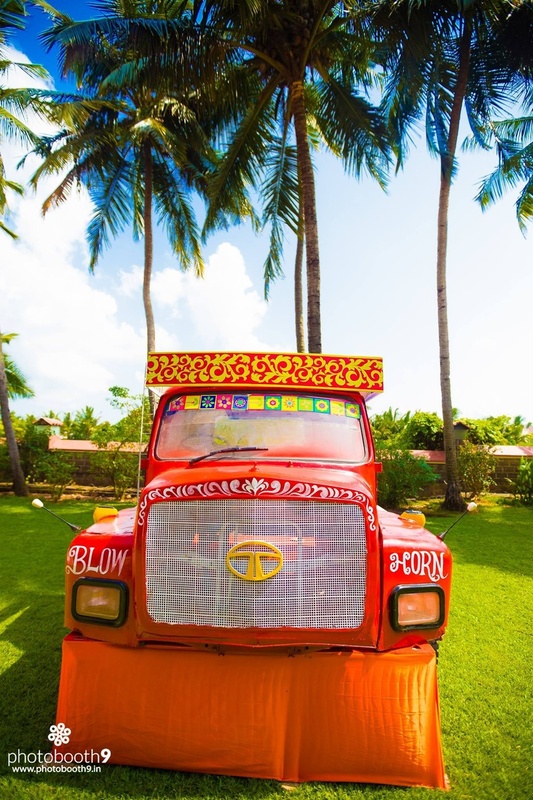 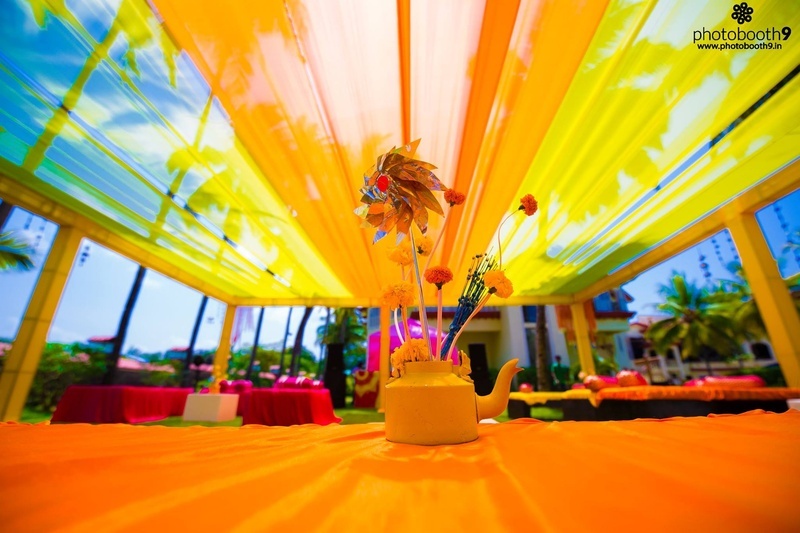 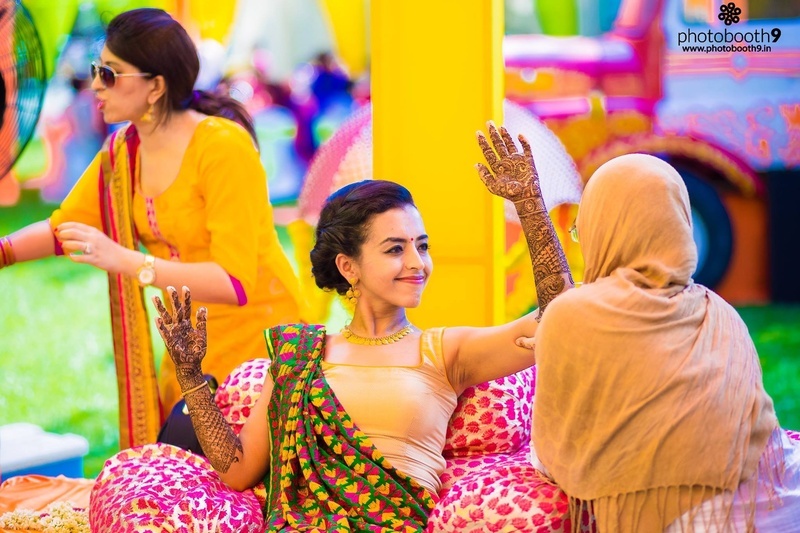 Whether it was the photoshoot at the beach with this gorgeous couple in bright attires or their outdoor mehendi with the quirkiest signages, you would want to steal everything for your wedding! 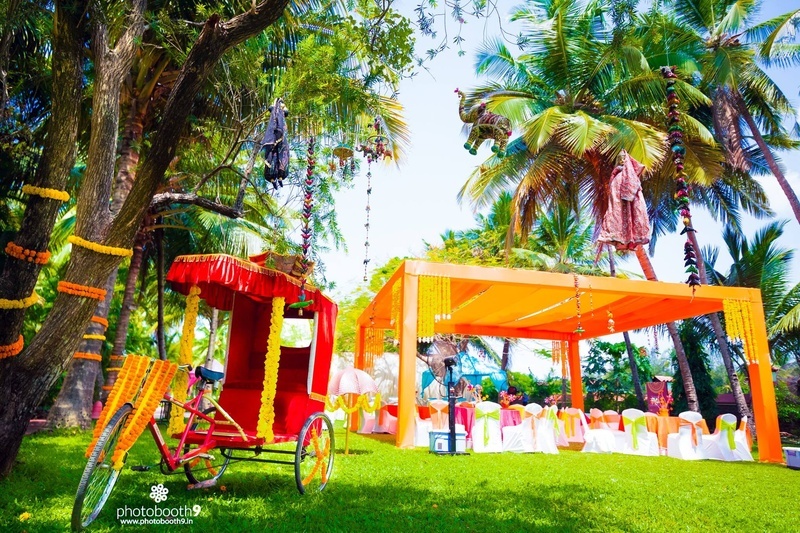 Each element was done with exquisite taste and style, including the open air wedding. 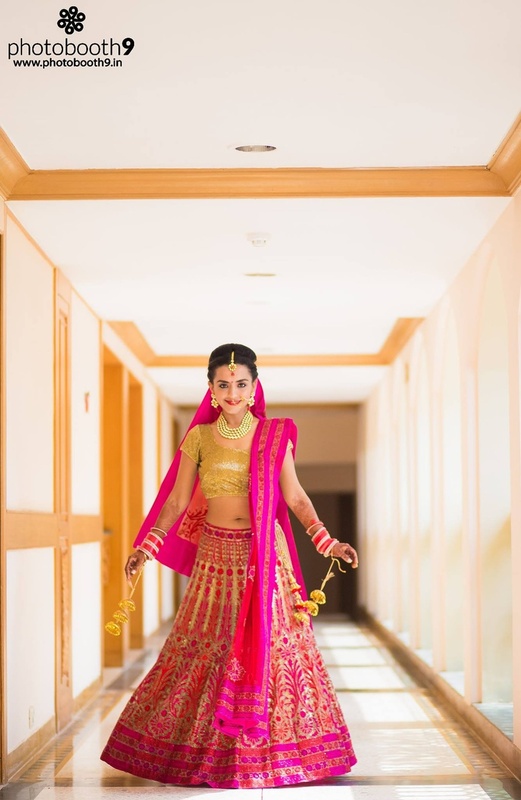 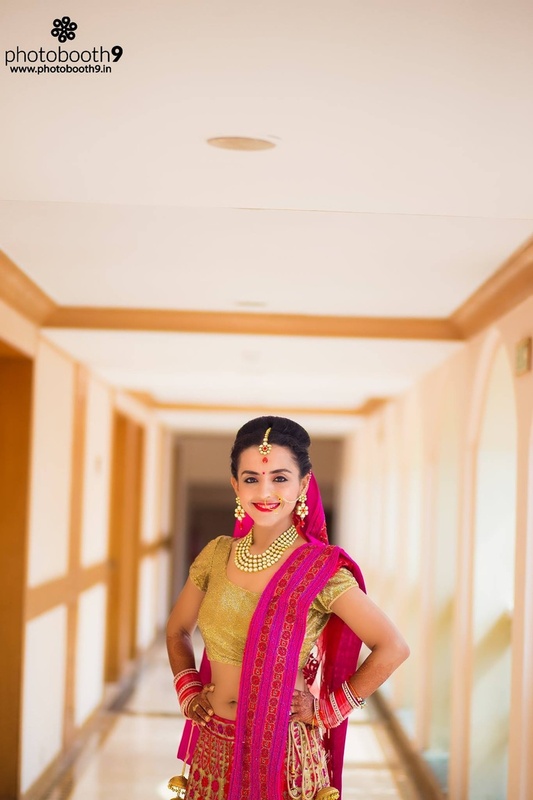 But the highlight of this wedding was undoubtedly Saloni’s stunning lehenga; for all the petite brides out there, opt for smaller borders and kalidar type lehengas just like this gorgeous bride did!